At the moment all is calm, all is very bright! 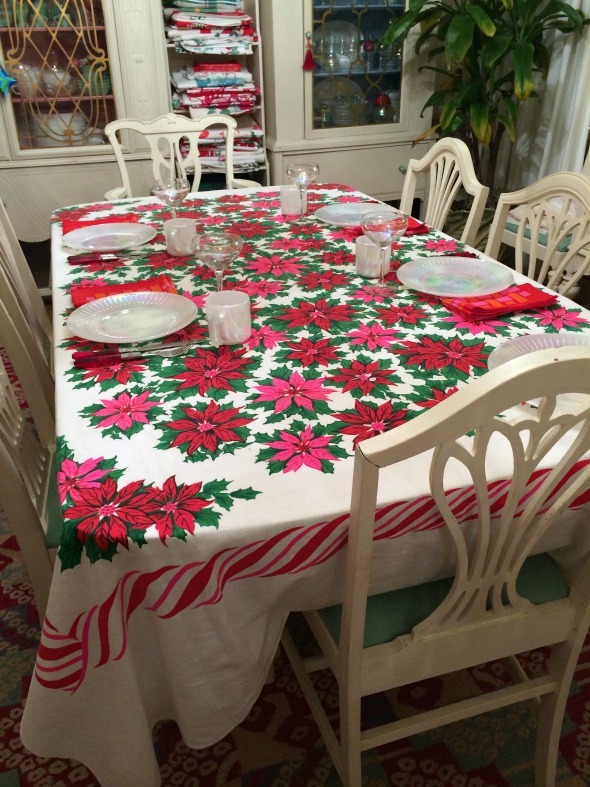 I love the twisted candy cane border on the tablecloth. Who needs coffee when you’ve got this to wake your eyes? Click for more! 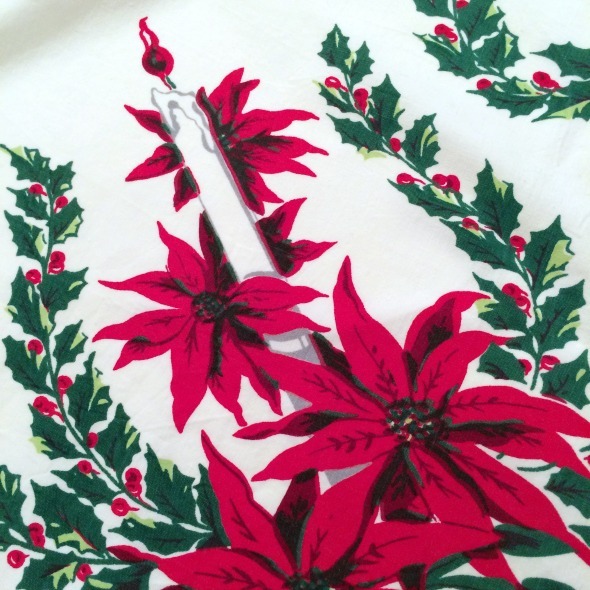 Get red wax off a white tablecloth in five simple steps – update! 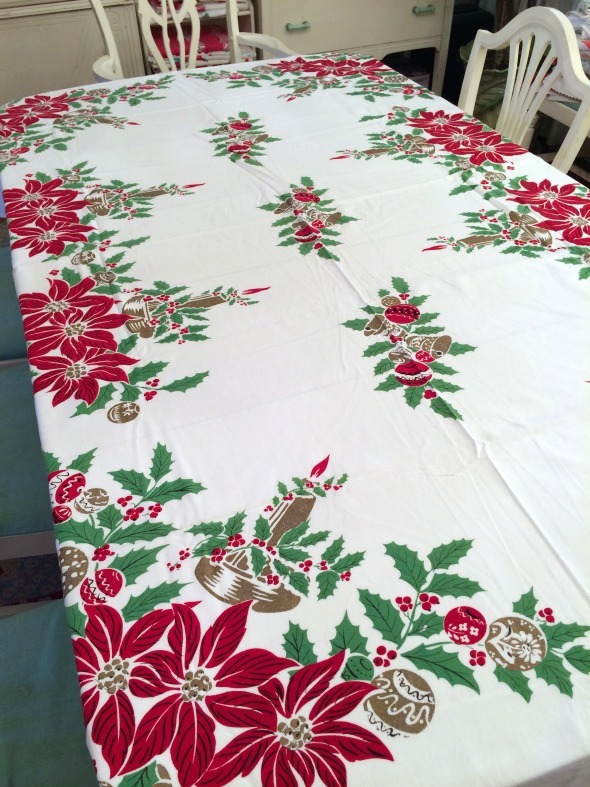 Posted: December 10, 2014 | Author: janeray | Filed under: Laundry, Vintage tablecloths | Tags: Christmas, stain removal, vintage tablecloth, vintage tablecloths | Comments Off on Get red wax off a white tablecloth in five simple steps – update! 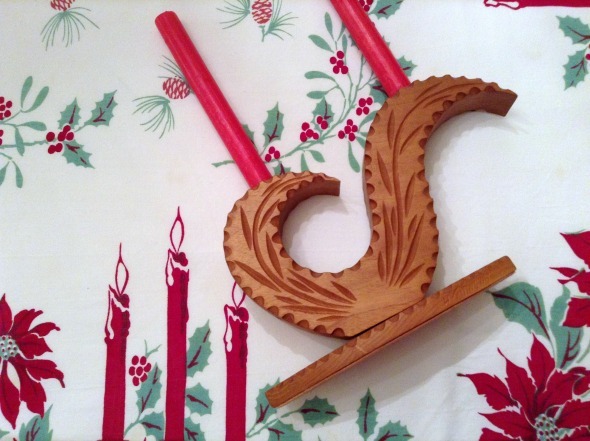 Last week I found a wonderful candlestick thing that I HAD to use with a vintage Christmas tablecloth. Don’t they look great together? 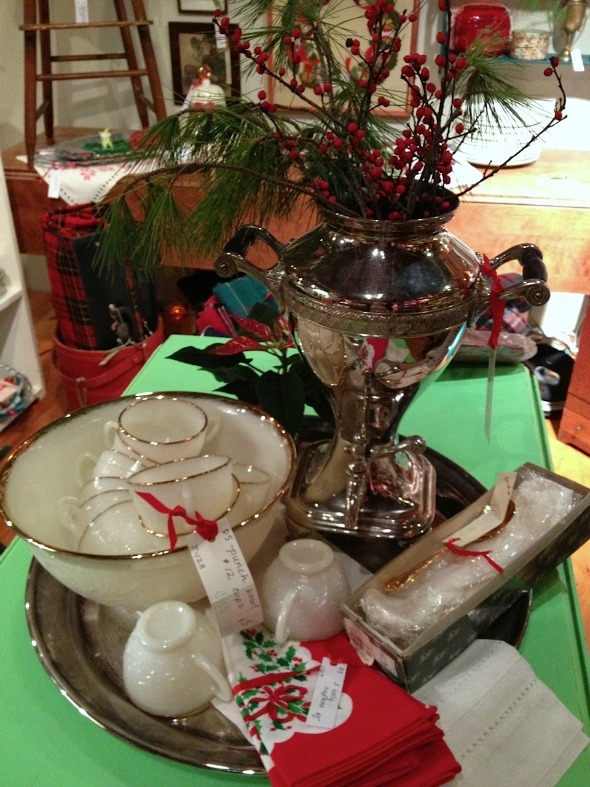 Especially with matching red candles. Of course the candles DRIPPED! What was I thinking? !